The island of Crete, the largest in Greece, is filled with attractions of almost every kind, including beaches, museums, historical monuments, ancient cities, and unspoiled nature. But one part of Crete holds a special attraction to some visitors from the United States, and that is Souda Bay. Souda Bay is the site of a U.S. military installation, U.S. Naval Support Activity (NSA) Souda Bay, which operates as a base for planes, ships, and submarines. It covers 110 acres and sits on the larger Hellenic (Greek) Air Force Base on Crete's northwest coast. About 750 members of the military and civilians are on the installation, which supports both U.S. Navy and U.S. Air Force reconnaissance missions, along with other joint missions of the Navy and Air Force and operations involving several nations. Souda Bay was mentioned in media coverage in 2012 due to the tragedy at Benghazi, Libya, when Arizona Sen. John McCain asked why a quick-response team was not available at the base, a mere 200 miles or so from the coast of Libya. Cretans are well aware of Libya's close location across the southern portion of the Mediterranean Sea; in geographic naming conventions, the waters that wash the south coast of Crete are actually part of the " Liviakos," or Libyan sea. Souda Bay is on the northwestern coast of the island of Crete, close to the city of Chania. This area has always been of some importance militarily, since it is the closest point of Crete to the mainland of Greece and also on the sea route from Italy and other European ports. If you are not a family member of a service person serving at Souda Bay, access is limited. 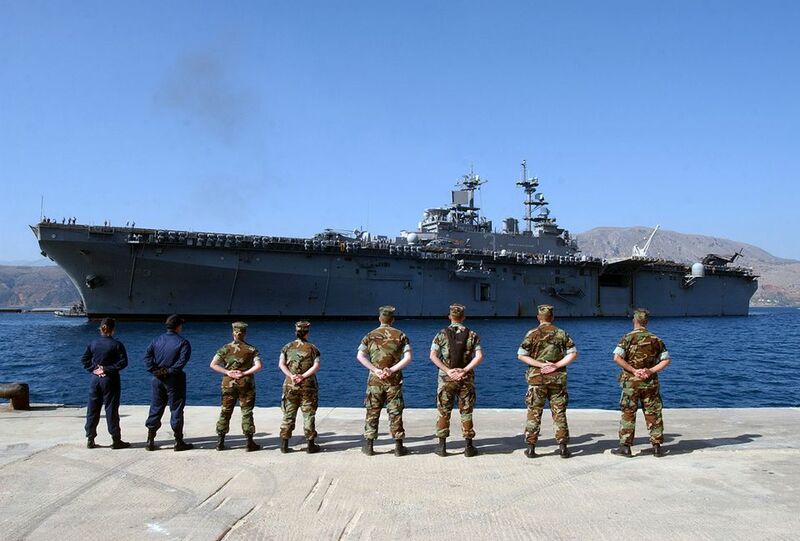 The coastal areas are virtually all under military control; in addition to the U.S. presence and the Hellenic Air Force Base, there is a Hellenic Naval Base on Souda Bay. The deep, protected harbor has made Souda Bay strategically important for several thousand years. Drivers traveling along the National Road can get glimpses of the bay, and several villages give good views of the bay as well. Because of its strategic importance, this area was the scene of fierce fighting during the Nazi invasion of Crete in 1941 during the Battle of Crete. There is a German war cemetery located at Maleme, a few miles away from Souda Bay. There's also an Allied war cemetery and a memorial to members of the British Royal Air Force. These are frequently visited by descendants of the service members who lost their lives on Crete. You'll find many locally owned hotels in a variety of price ranges in and around the Chania area, near the war cemeteries, and along the National Road, which stretches across the top of Crete. Fly into Chania International Airport and then rent a car or take public transportation to your hotel and Souda Bay.